Want to know more about Luxembourg? Luxembourg is the country of superlatives: the largest financial center in Europe and the second largest in the world, the best destination for expatriates, the second highest per capita income in the world... All this is in an area slightly larger than the city of São Paulo. Browse our website and find out more about the only Grand Duchy in the world! 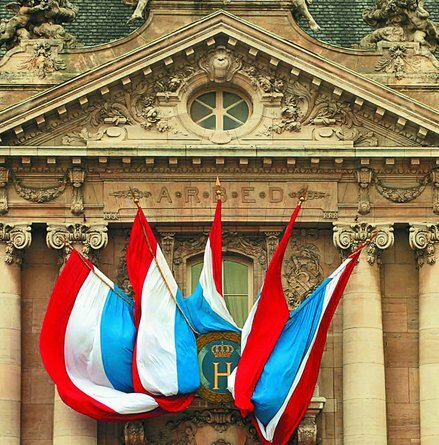 Who can obtain Luxembourg citizenship? Any Brazilian who can prove blood descendancy may apply for Luxembourg citizenship. Want to know more about the required documents and the details of this process? Modern and traditional, Luxembourg is a country worth a visit. Founding member of the European Union and important economic center, its capital is on the UNESCO World Heritage list. Besides its historical importance, the Grand Duchy offers beautiful landscapes and unforgettable gastronomic experiences. WELCOME TO THE PAGE OF THE CONSULATE GENERAL HC OF THE GRAND DUCHY OF LUXEMBOURG IN SÃO PAULO. The Honorary Consulate General of Luxembourg in São Paulo informs that in the middle of August-September 2017, the Embassy of Luxembourg in Brasilia will be opened and Ambassador Carlo KRIEGER will represent the country. However, initially, the Embassy will only address governmental matters. The consular services to Luxembourgers and descendants of Luxembourgers already provided by the Consulate General hc of Luxembourg in São Paulo, like assistance in obtaining citizenship, passports, legalization of documents and others will continue to be done by the Consulate and there will be no change in procedures. But it is not only these services that we provide. We also provide information on business, investment, tourism, culture, technology, education, and housing in the Grand Duchy. To know the news of our consulate and also of curiosities about Brazil and Luxembourg, visit our Facebook page! The Consulate will only respond to messages whose subject is not explained on the site, so we invite you to browse the site before contacting us to request information.